How did my kids get so big? Seems like just the other day I was taking their weekly picture in the same chair to document their growth over their first year. Now I’m making signs about First grade. Wait hold on and excuse me while I go cry. Ok, I’m back. You think you will always remember what grade each first day picture is from in 20 years, but chances are you won’t. 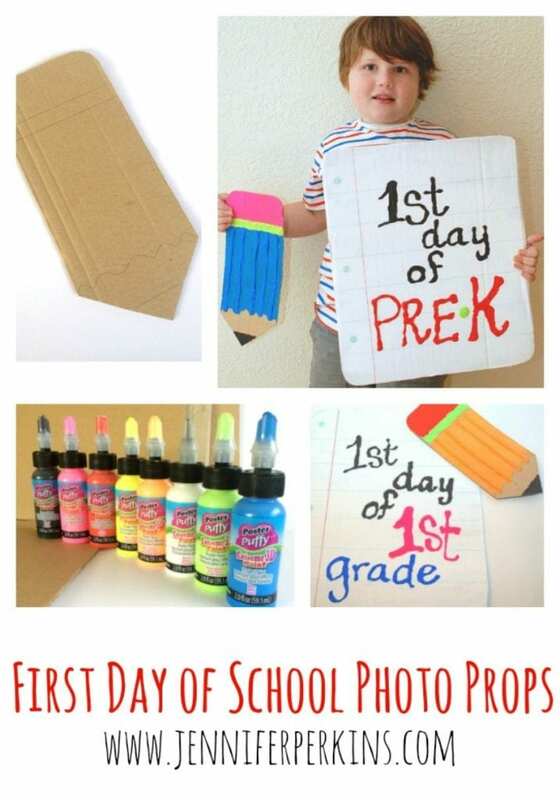 Go ahead and do yourself the favor of making some of these easy DIY cardboard back to school photo props today. First things first you are going to need some cardboard. Last nights pizza box will work as long as it’s not greasy. 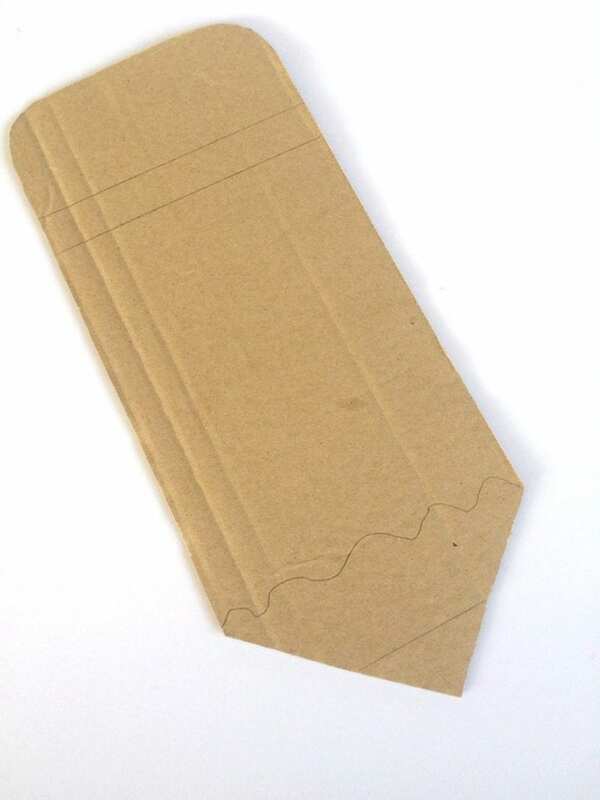 If you want a piece of notebook paper, cut out a rectangle. If you want a bottle of glue, cut out a square with a pointy tip. If you want a pencil – you get the point. I used Extreme 3D Puffy Paint to do my sign. 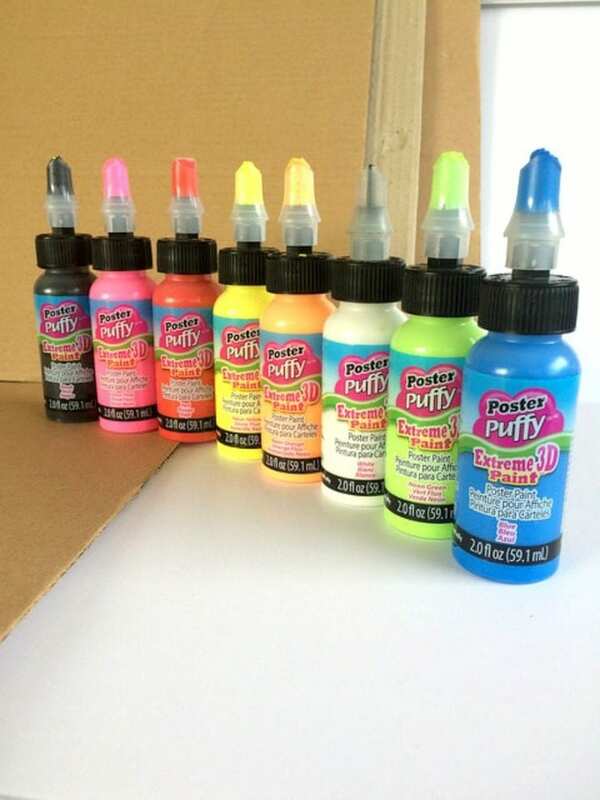 Please note this post was originally sponsored by I Love to Create who makes Puffy Paint. I liked the bright colors and texture for the sign. Fill in your design with paint and allow to dry completely. All that is left to do is hand over the props and get to snapping pictures! 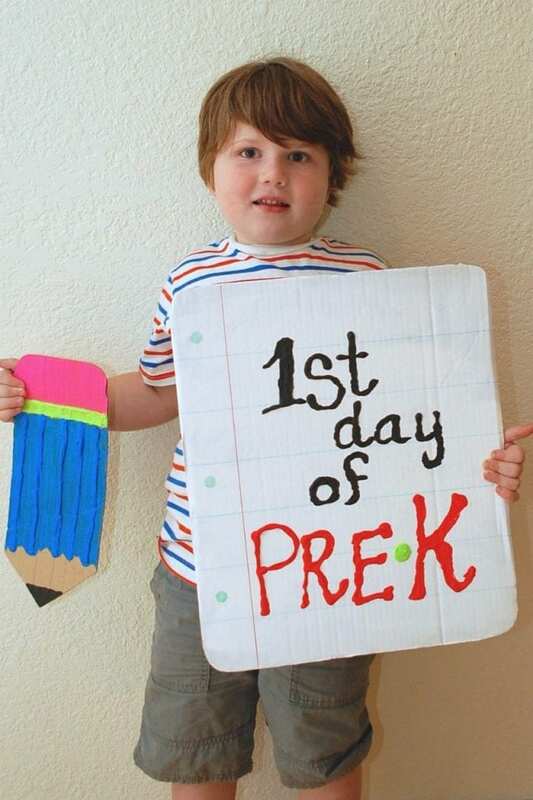 Do you take first day of school pictures? Any special traditions like photo props? Want more back to school inspiration? Read on! 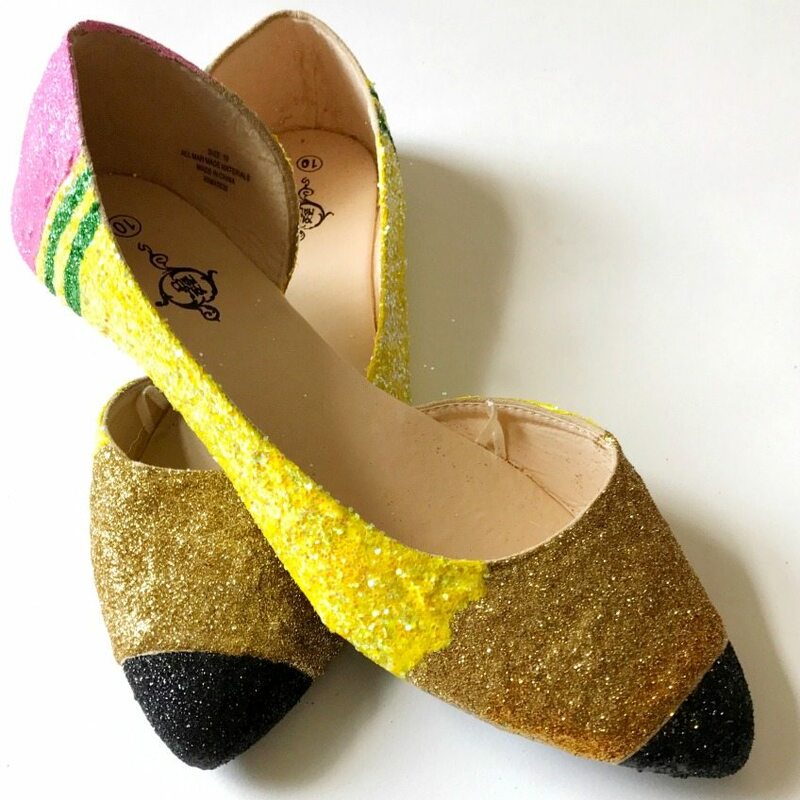 DIY Glittered Pencil Shoes – Not just pencils, this tutorial also has a notebook paper and crayon option to pep in your back to school step! 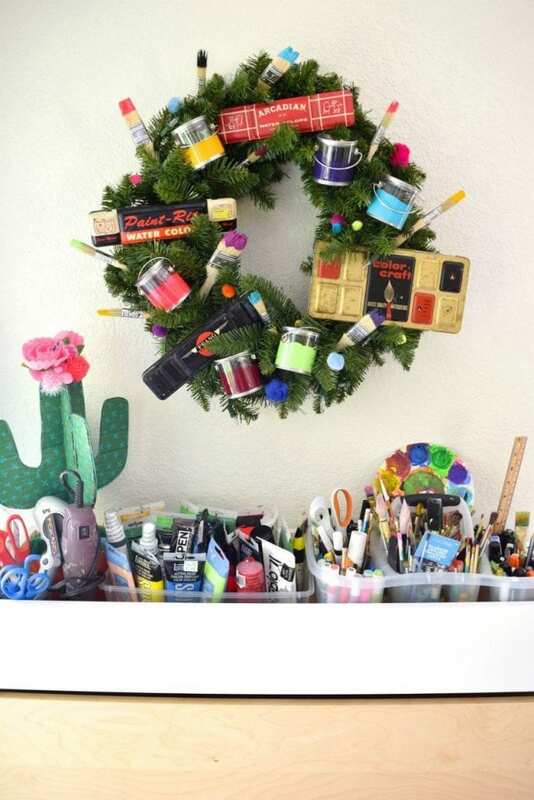 Art Class Wreath – Whether you are heading back to art class or algebra school gets a dose of cool with this DIY wreath covered in vintage paint tins. 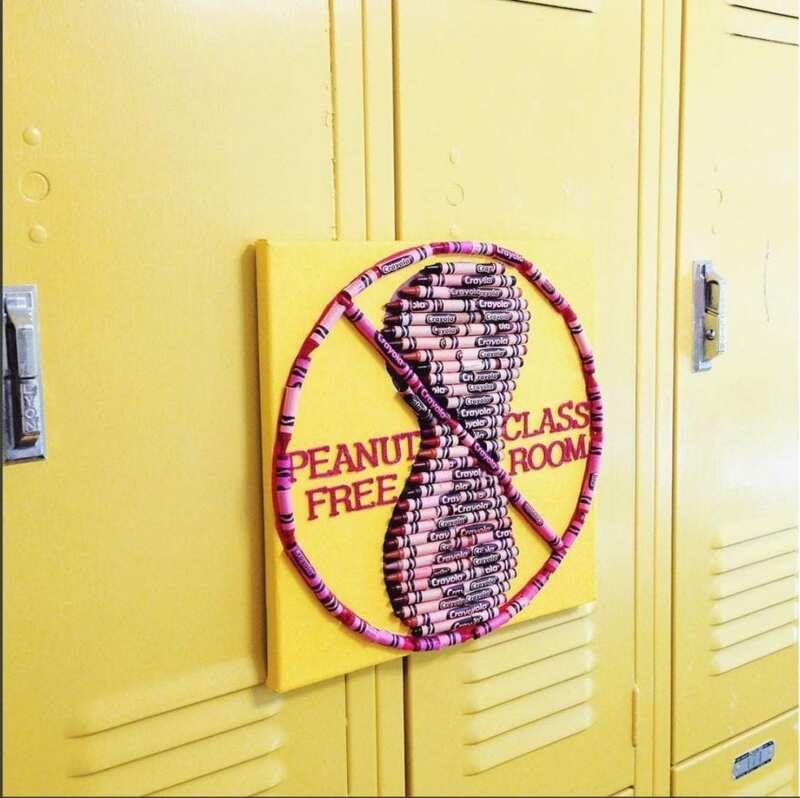 Peanut Free Class Room – If your class is going to be a peanut free one. Let the kids with food allergies know they are safe with this DIY sign made from crayons. Posted August 21, 2015 & filed under Crafts, Kids Crafts, Paper Crafts.